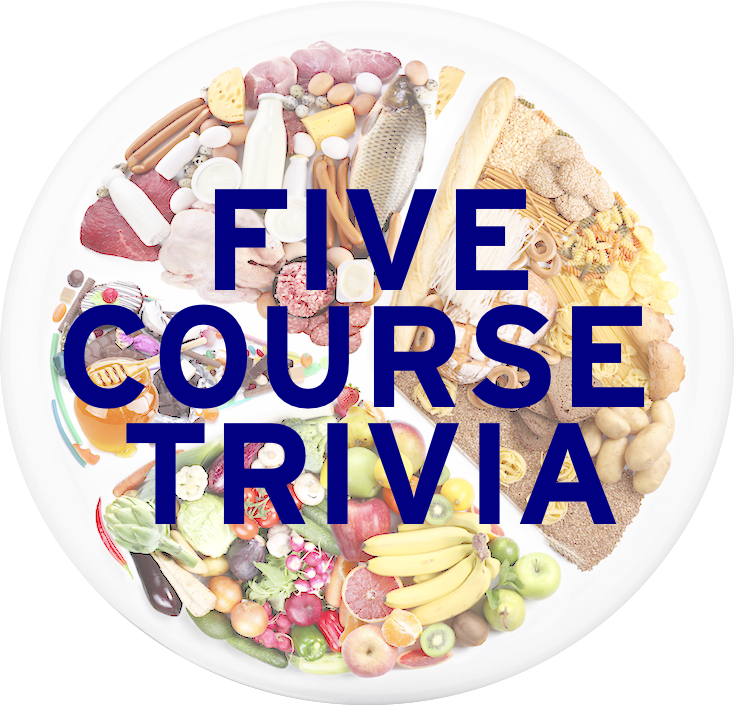 It’s Thanksgiving week at Five Course Trivia, and we’re going to have Thanksgiving food trivia all week long! We start off the week with pumpkins, that perennial fall fruit that has to be incorporated into the holidays as a requirement. Enjoy! 1. The standard pumpkin in the United States is the one seen below. Roughly 15-25 pounds, the cultivar of this pumpkin is the “Field” variety of which New England state? 2. Name the Mexican snack seen here, which are simply cooked pumpkin seeds and that take their name from the Spanish for “little seed of squash”. 3. Since 1986, Bridgeville, Delaware has been the home of the annual WCPC. What does WCPC stand for? 4. What brand name has been edited out of this picture? A canned food company from Chicago since 1869, this brand faced a canned pumpkin shortage in 2009 due to poor weather that year in Illinois. 5. Popular in Southern India and Sri Lanka, name the lentil-based soup that often includes okra, moringa, carrot, radish, potatoes, and pumpkin. Tomorrow: We hit up cranberries and see what’s new with them.